The Eastern Meadowlark was photographed at Milwaukee County Bebder Park in Oak Creek, Wisconsin. 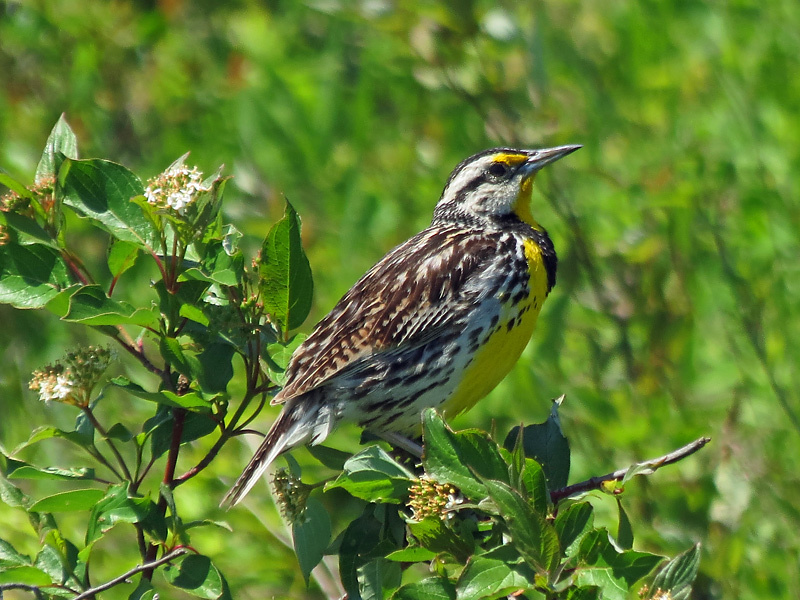 The Eastern Meadowlark is a chunky brown speckled brown bird with a bright yellow throat and breast with a black V on the breast. 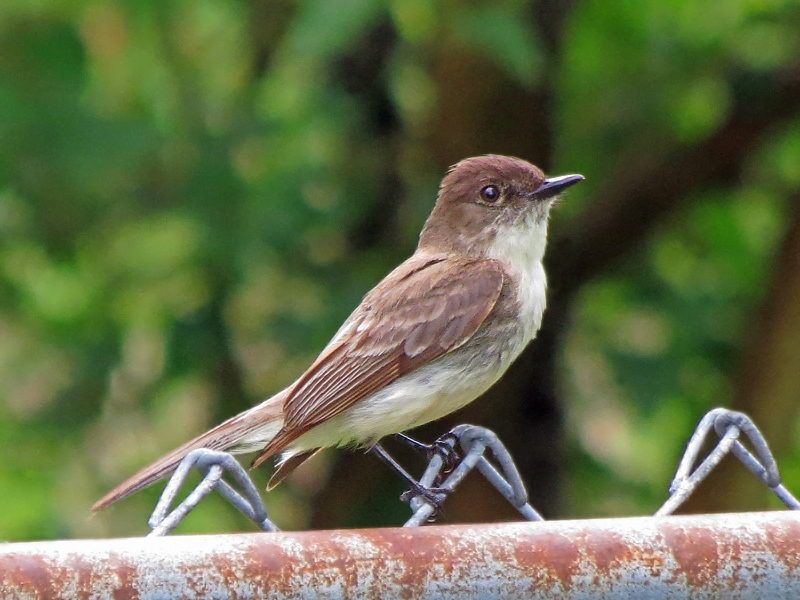 It has a short tail with a patch of white on each side. The cheek is white. It has a range from southeast Canada and the eastern half of the United States. It has a habitat of open fields, pastures, meadows, and prairies. It is usually not first seen, but heard by a guttural chatter that is a distinctive sound. Its diet consists of mostly insects and seeds by foraging while walking on the ground. 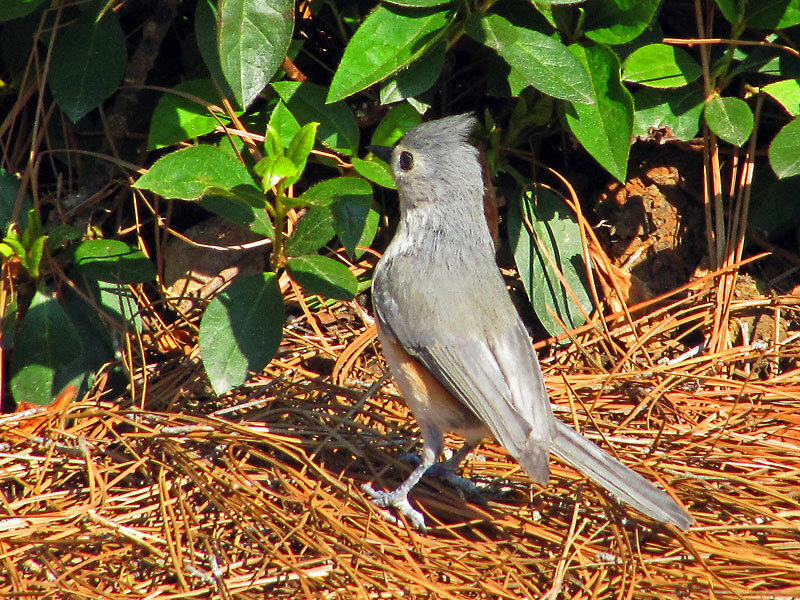 A small gray mouse colored bird with a tufted crest. It lives in the eastern half of the United States. The Tufted Titmouse is a small gray colored bird with a tufted crest and rusty colored flanks. Its range is from southern tip of Ontario south to the Gulf States. 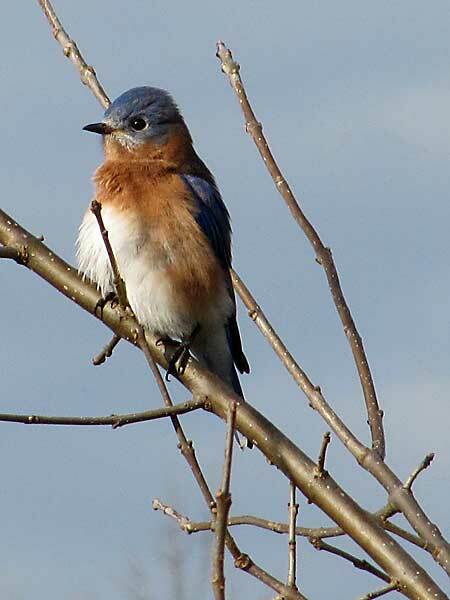 It is common all year in the eastern states and likes sunflower seeds at feeders. 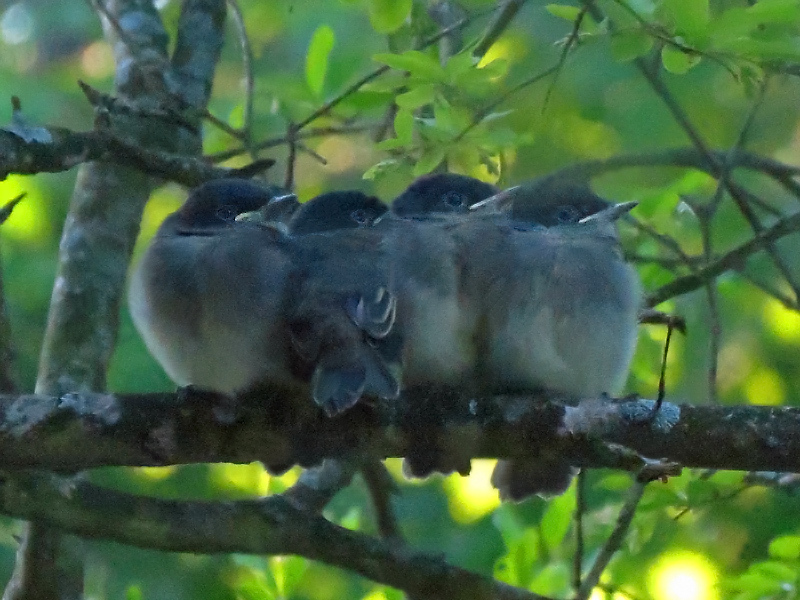 Its habitat is woodlands, shade trees, groves, and feeders. The above Tufted Titmouse was photographed at the Sarah P Duke Gardens at Duke University, Durham, North Carolina. 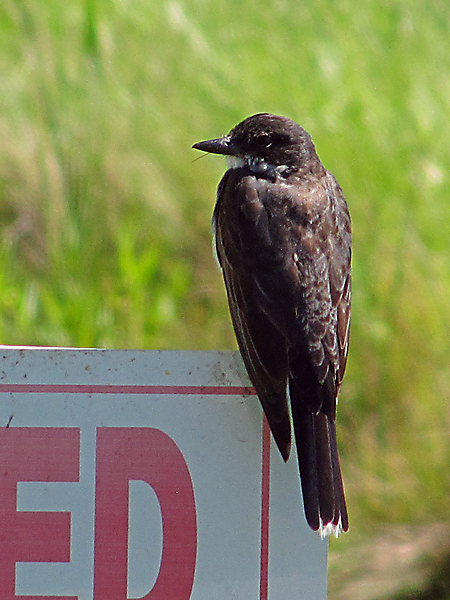 The white band on the tail tip easily identifies the Easter Kingbird. 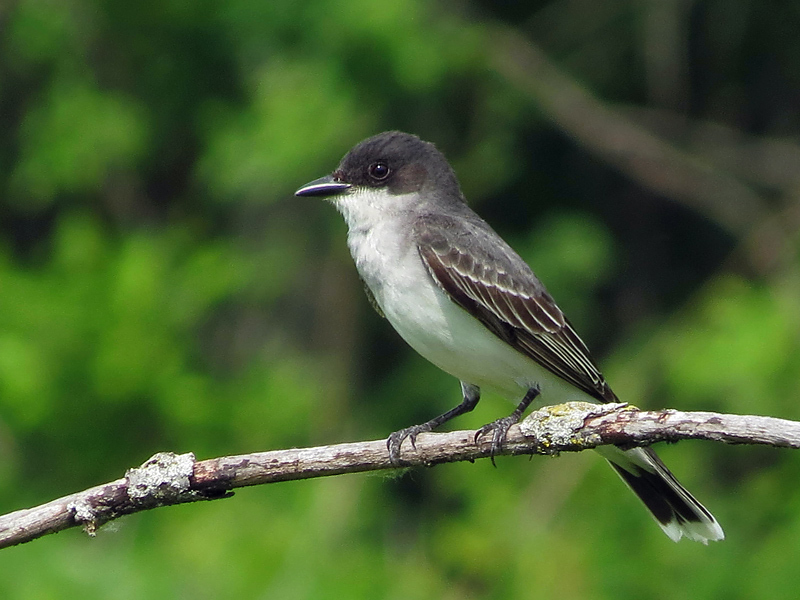 The Eastern Kingbird can be seen in the eastern and Midwest states and central Canada. This was my first sighting, as a group was migrating through the area. The white band across the tail tip easily identifies them. They were in their normal habitat of wood edges, river groves, farms, orchards, roadsides, fencerows, and wires. They like to harass crows and hawks, and this is the reason I saw them as they were chasing some crows, and making noise.